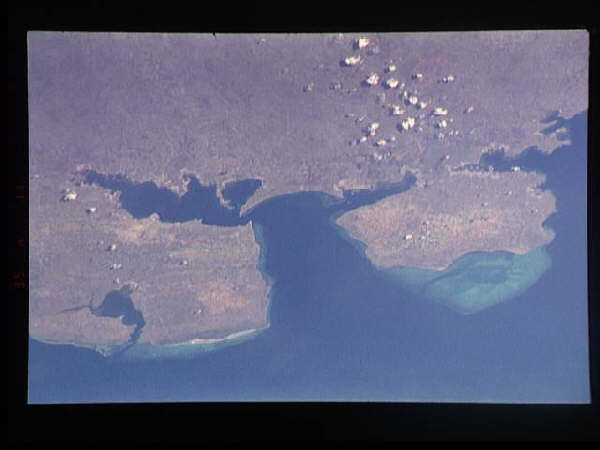 The port of Nacala is Mozambique’s is situated at Longitude 40º 40′ E and 14º 27′ S, on the south side of Baia deBengo, a large and sheltered bay with waters up to 60m deep and an entrance that is 800m wide. Nacala Bay is said to be the finest natural deep-water harbour in Africa. In spite of these obvious attractions, Nacala was opened as recently as 1951, having been overlooked prior to this in favour of other natural harbours on the east coast of Mozambique such as Pemba (Porto Amelia in Portuguese times) further north from Nacala and Mozambique Island close to the south, the small island which for 400 years was the Portuguese capital of Mozambique. The harbour at Nacala was developed immediately post World War 2 to served its own immediate hinterland as well as its neighbouring landlocked Malawi (then known as Nyasaland) in the west, which is served by a 900km railway – the longest in Mozambique. Cargo handled was cotton, tea, tobacco, groundnuts, cashew nuts, sisal, timber, maize and hides and by the early 1970s the Port of Nacala was handling about 500,000 tons of cargo a year, making it Mozambique’s third most important port. Nacala consists of four natural bays. The wider of these is Bay of Fernao Veloso which has a water depth reaching 99 metres. There are three inner bays – Bengo, Namelala and Muananculo which each have depths of up to 60 metres. The port and town is situated on Bengo Bay. 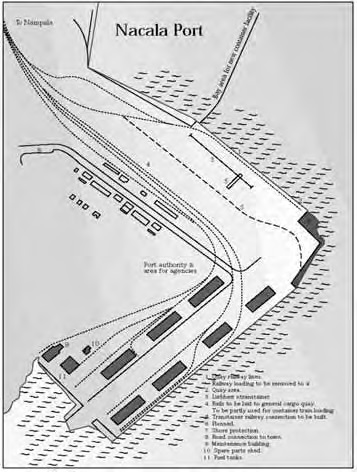 The coal terminal is situated at Nacala-a-Velha on the opposite side of the bay to the town and commercial port. In recent years the railway corridor has been extended to Tete province in central Mozambique to link the port with the coalfields at Moatize, and Nacala is now the principal port for the export of coal from the Vale and other mining operations at Moatize. 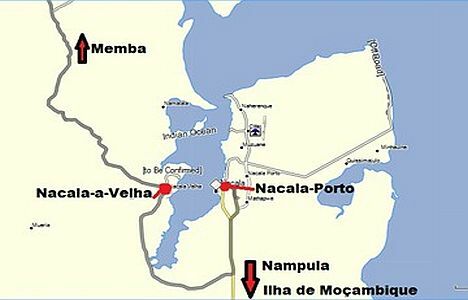 Nacala port and railway is concessioned to Portos do Norte SA, a consortium that includes the Brazilian mining group Vale Moçambique. General cargo handled includes cement, petrol, grains, containers, as well as various construction materials for the railway and new port development. 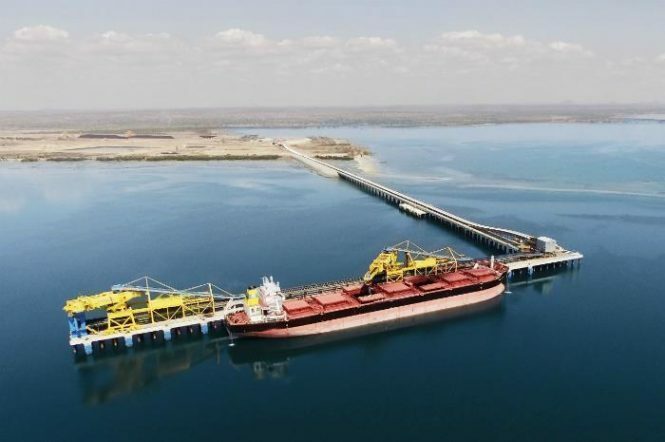 The latter includes a coal and minerals terminal across the bay from the general port, at Nacala-a-Velha from where the export of coal mined near Moatize in Tete Province is shipped. The largest of dry bulk vessels can load from here. On 29 September 2000 a 15-year concession was entered into between the private Mozambican company called Development Society Of Nacala Corridor SA (SDCN – 51%) and the state-owned Portos e Caminhos de Ferro de Mozambique (CFM – 49%), in which the private company called the Northern Development Corridor (CDN) would be responsible for the management, financing, maintenance and optimisation of infrastructure for rail and port services as well as the development and operation of that infrastructure. 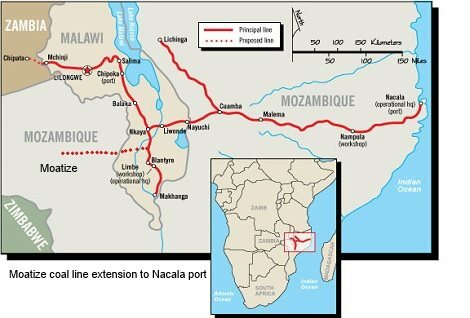 The Nacala (Mozambique) railway concession has since been extended until 10 January 2035. The port concession ends on 10 January 2020, and the Malawi rail concession (Central East African Railways – CEAR) on 1 December 2042. Because of its natural deep water and sheltered position Nacala has no restrictions on ship movement or size. A 24-hour service is available. Pilotage is however compulsory, ships being boarded 2 n.miles 237º from the Nacala lighthouse, unless strong winds are being experienced in which case pilots then board within the bay. 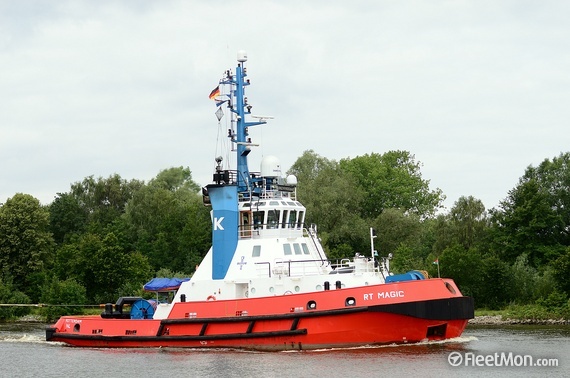 The port has two Kotug Rotortugs in service, named RT MAGIC and RT SPIRIT, each equipped with three separate azimuth propulsion units. The two tugs entered service at Nacala in May 2016. A third older tug is also in service. In 2013 the Port of Nacala handled 1.912 million tonnes of cargo and is on stream to increase this to well in excess of two million tonnes in 2017. Once coal exports are factored in the port volumes will increase dramatically. In 2015 the port has handled 79,417 TEUs, a decrease from the 97,081 TEUs handled in 2014. Vessels handled at the port in 2015 totalled 322 (364 in 2014). 2016 statistics are not presently available. 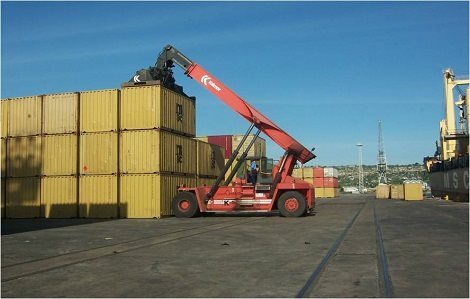 General Cargo Terminal: Nacala has 675-metre long general cargo quay divided into four berths, with a depth alongside ranging from 7.80 metres to 10.00 metres. The terminal has a number of shoreside cranes of between 5-ton and 20-ton capacities plus ancillary cargo moving equipment. There are eight warehouses in a covered area of 21000m2 and open area of 800,000m2 plus a liquid bulk terminal connected to fuel tanks through a pipeline with 3.5 km and two deposits for vegetable oils. Container Terminal: The container terminal has two berths with a total length of 375 metres and a depth alongside of 15 metres. There are no shoreside cranes but fork lift toploaders and reach stackers are available for moving cargo. The terminal has a stacking capacity of 5722 TEU and a total annual handling capacity of 100,000 TEU pa.
Bunkering is available by road tanker with a pipeline at the general cargo berths. The railway which has its terminus at Nacala, links with the Central East African Railway (CEAR) in Malawi and with the coalfields of Moatize in Mozambique’s Tete province.